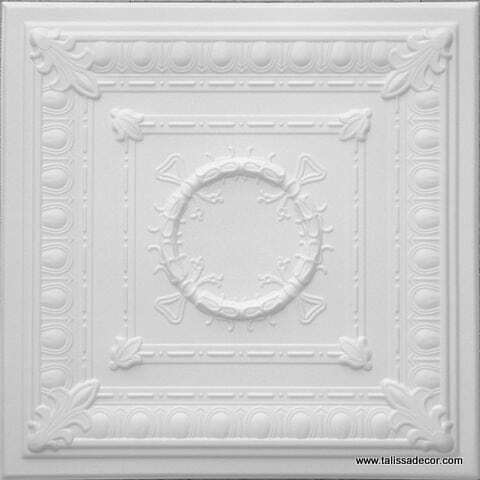 The intricate detail of these tiles makes them the perfect fit for any Victorian style setting. 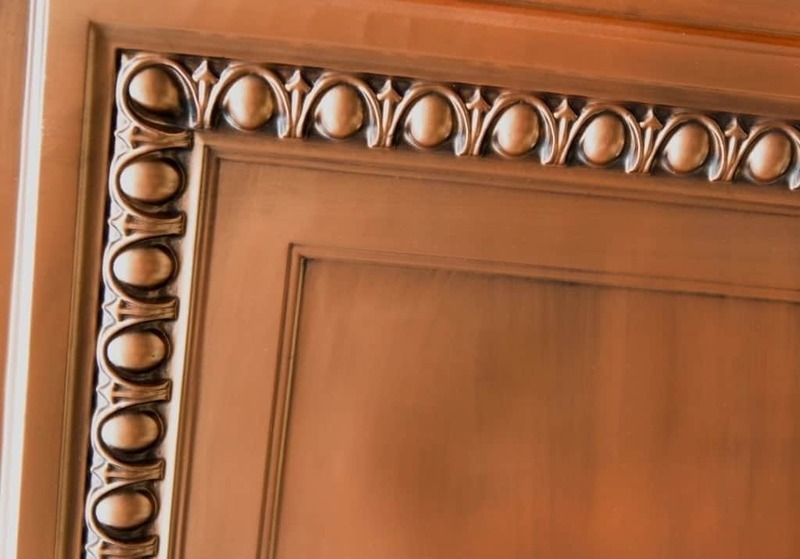 They can be left as they are or painted according to the color scheme of the room. 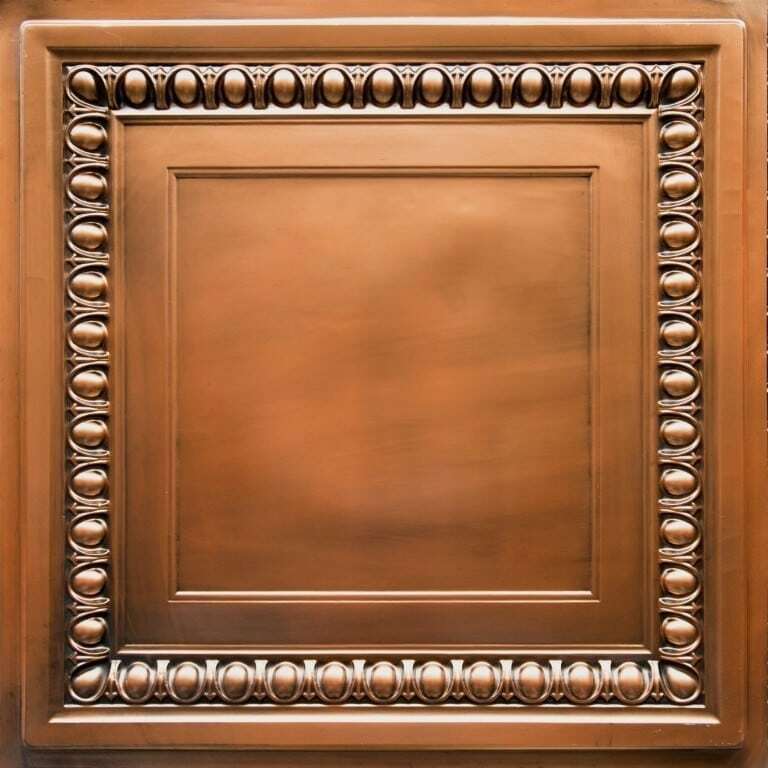 Either way, you can be certain that they will work well to complement the rest of your decorative items. 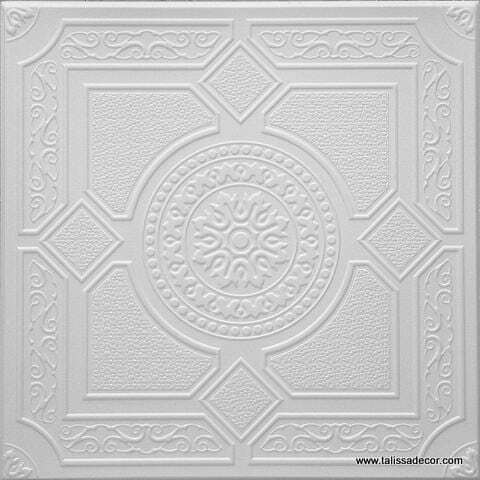 RM47 Polystyrene ceiling tile – Like all of our polystyrene ceiling tiles, these are lightweight and extremely easy to install yourself. There is no need to hire a contractor, and you don’t even need any previous experience. They are suited for residential as well as commercial use which makes them that much more versatile. 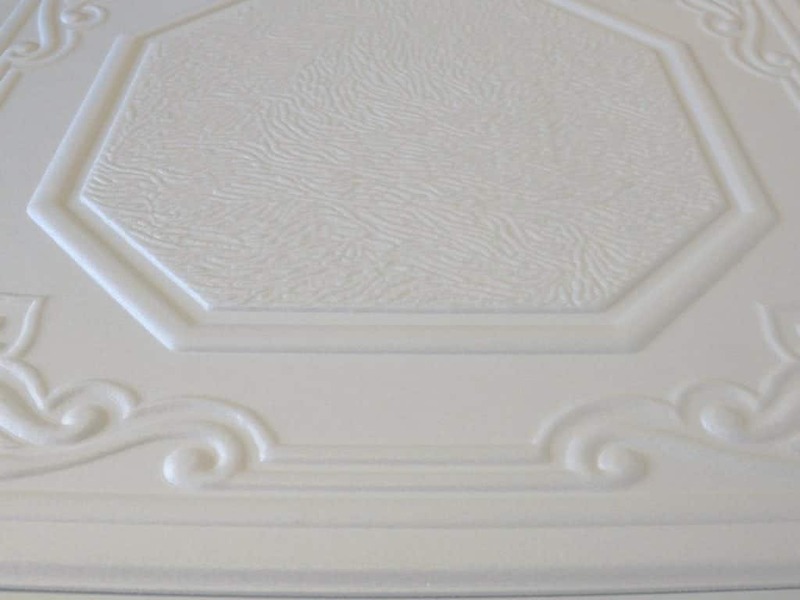 When you choose polystyrene ceiling tiles, you are getting maximum style at the most affordable price. 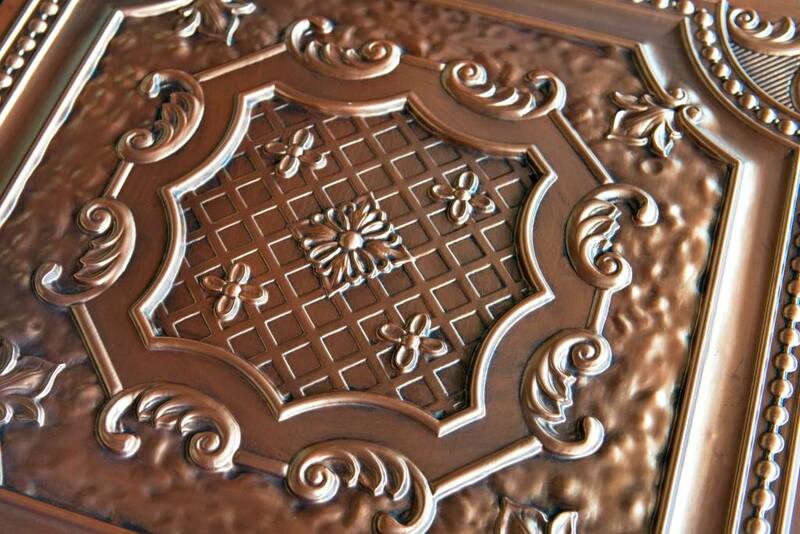 This means that you will not need to invest a significant amount of money to give your ceiling a new look. 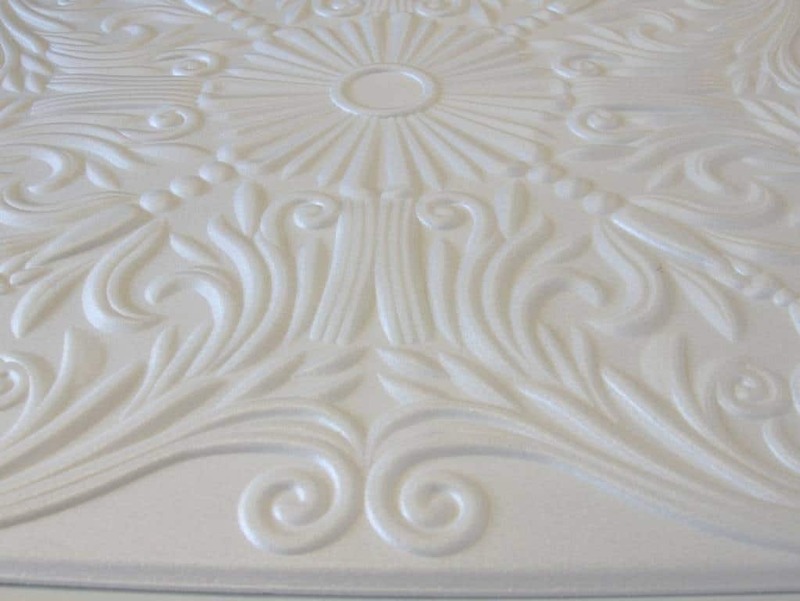 Our Styrofoam ceiling tiles are suited for glue up installation only, and you will need glue adhesive, a foam roller, and a sharp tool to cut the tiles to size when necessary. Once the tiles are installed, you’ll never even know that your ceiling was once an eyesore! 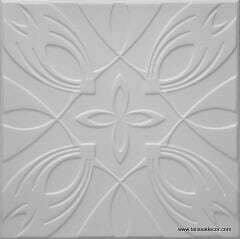 These tiles arrive unpainted and unfinished. While a vast number of our clients choose to leave the tiles as they are, others prefer to paint them for added style and aesthetic appeal. 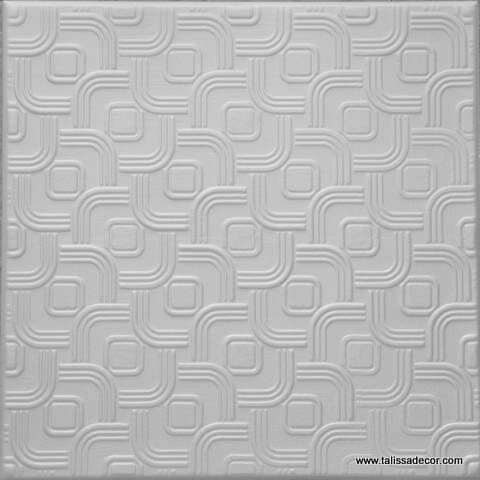 Apart from the fact that they are great to look at, these tiles also add insulation. 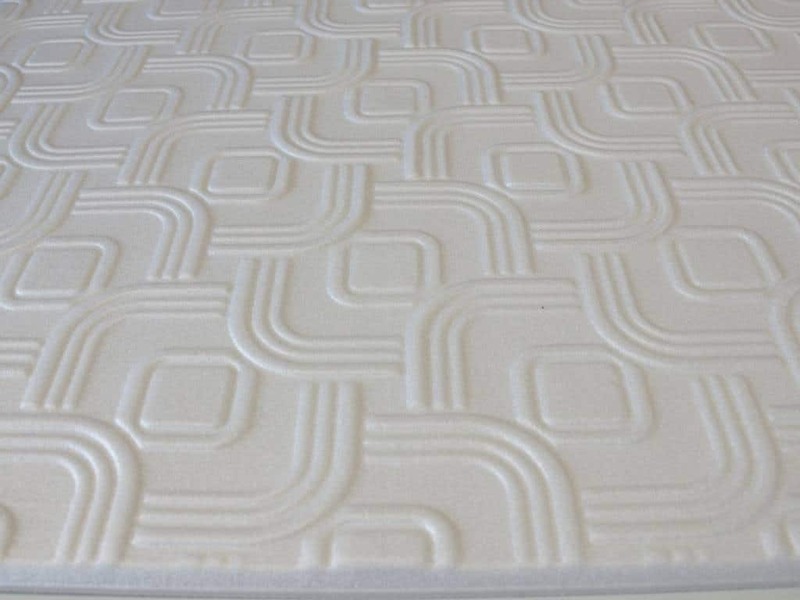 They will help keep the room warmer in the cold months and cooler when it’s hot outside. This will certainly have an effect on your energy bill. 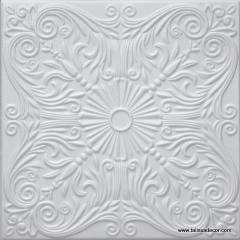 We suggest ordering extra tiles in order to ensure that you have enough to cover your ceiling and to allow for waste. 10% extra is ideal for regular ceilings whereas 15% – 20% extra is recommended for ceilings with an irregular shape. If you need help calculating the number of tiles needed for your ceiling, our team will be more than happy to assist. 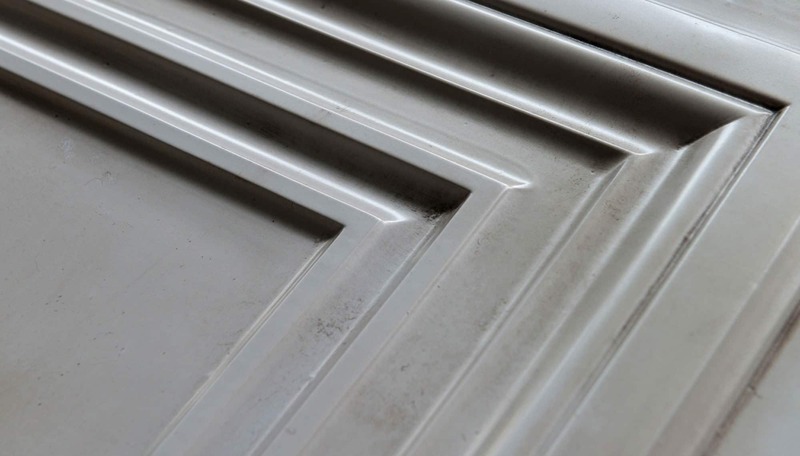 If you finish your tiles in a different color from that of your ceiling, we suggest applying sealant under the edges of the tiles. 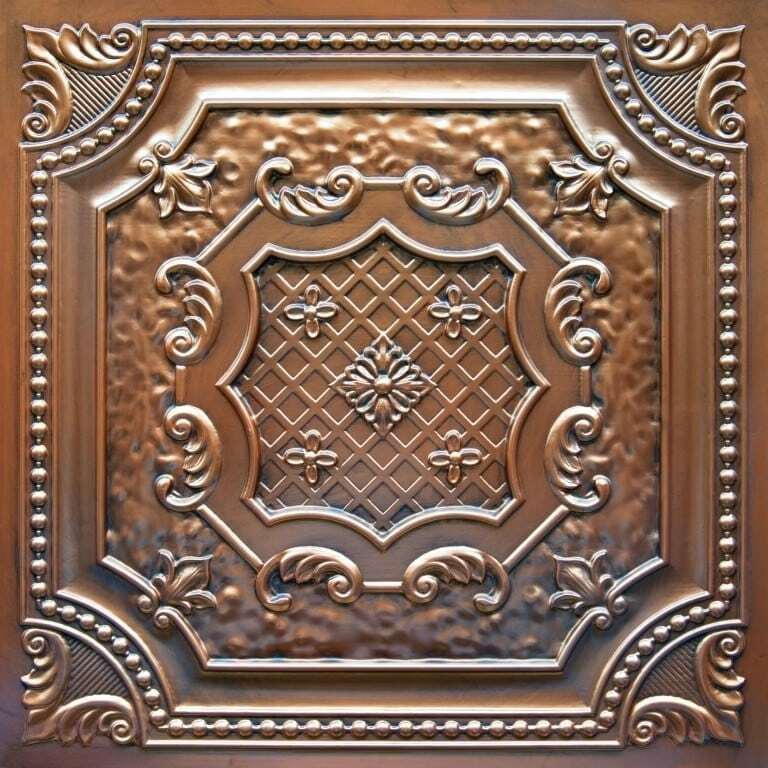 This will help fill any gaps and give your ceiling that perfect finish. Installing these ceilings is easy with the glue up installation method. They are lightweight which makes them easy to work with. 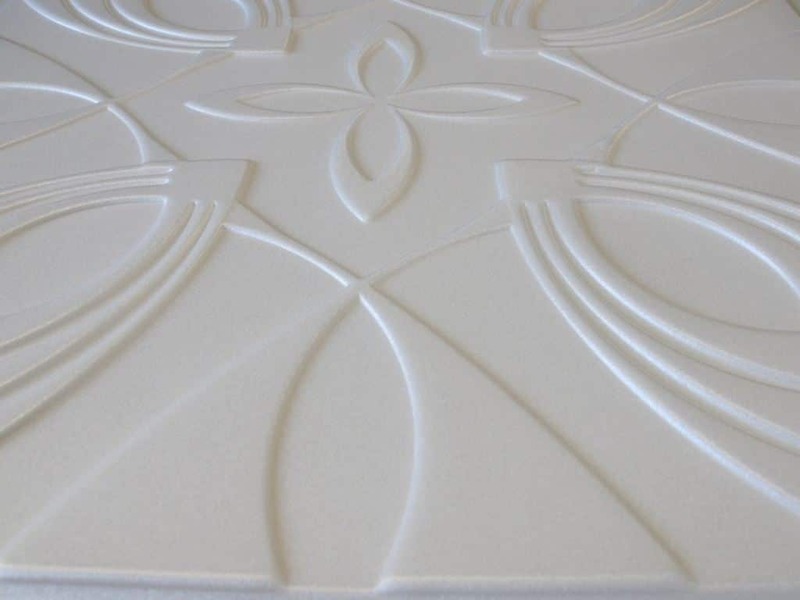 You will need a foam roller, glue adhesive, and a sharp cutting tool to install these tiles. For more information, visit our installation instructions page. There will be no need for further treatments once installation is complete. 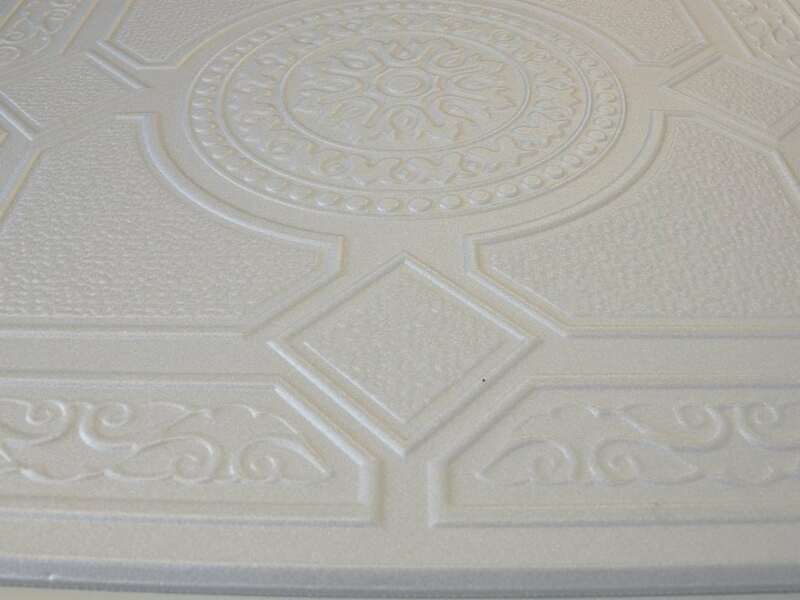 Our polystyrene tiles do not require any special care. If you would like to clean them, we recommend using water and a cloth. Mild soap can be used, but strong chemicals and abrasives should be avoided since they cause damage. 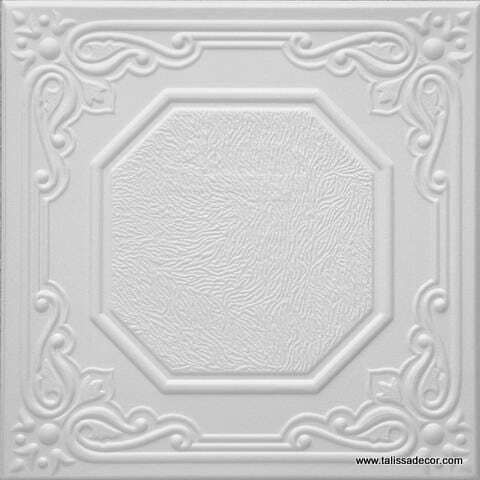 These tiles are designed for indoor use and closed patios only. Outdoor use and exposure to direct sunlight will result in damage.